Like the Bennetts 500cc Classic TT Race, the Okells Brewery 350cc Race is set to be a thrilling affair and it could well be even more closely contested with evenly matched machines and a stellar line up of riders offering the potential for a close race. 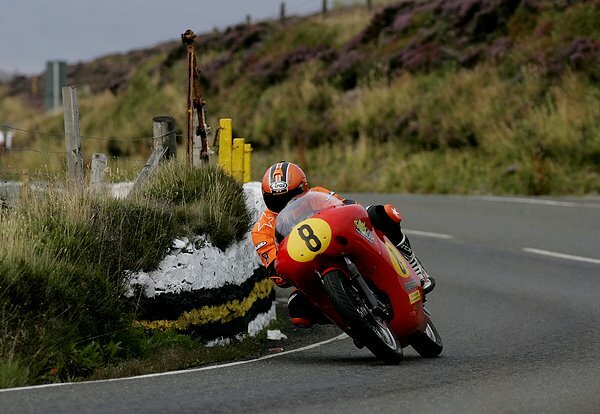 The class, like all races at the 2014 Classic TT presented by Bennetts, was oversubscribed with a full grid of almost 90 entries eventually accepted. With last year's race winner Chris Palmer absent from the field, a new winner will be garlanded but Roy Richardson on the FCL Racing/Bullock Motorsport Aermacchi, will be one of the favourites having won numerous 350cc Classic races at the Manx GP. The opposition is strong though with anyone in the top 20 more than competitive and capable of standing on the podium. Honda lead the way in terms of numbers with Jamie Hamilton, Olie Linsdell (Flitwick Motorcycles), William Dunlop and Alan Oversby (both Davies Motorsport), Jamie Coward (Ted Woof), Chris McGahan (Hales Honda), James Hillier (CSC Racing), James Cowton and Nigel Moore all electing to ride the iconic Japanese marque. The British challenge is more than considerable though with AJS and Norton having numerous potential race winners, none more so than last year's podium finishers Cameron Donald (Ripley Land Racing AJS) and Dan Cooper (Molnar Manx Norton). Cooper is joined in Andy Molnar's team by the man who dominated this years TT Races Michael Dunlop while another top TT runner, Keith Amor, will ine up on Tony Dunnell's rapid Manx Norton. Italy has representation in the form of Dean Harrison and Lee Johnston (Black Eagle Racing MV Agusta), Chris Swallow (Mike Fawcett Aermacchi) and Doug Snow (Ducati Sebring) and all three will be pushing hard at the head of the field while other names expected to feature include Mark Herbertson (AJS), Alex Sinclair (Honda), Paul Coward (Honda), Dave Madsen-Mygdal (Honda), Ken Davis (Honda) and Chris Petty (Honda). Although there isn't a separate race this year, there are still numerous 250cc machines spread through the field aiming to win the new Phil Read Trophy to recognise the class win, with multiple Manx Grand Prix race winner Bill Swallow back for another outing around the Mountain Course, this time on Phil Price's Velocette. The T20 Suzuki's will be expected to be the highest placed though particularly in the hands of Alan 'Bud' Jackson, Karl Fox, Tom Jackson, Jeff Ward, Maria Costello, Dan Sayle and Billy Cummins. Dave Edwards (TD1C Yamaha) and Pete Symes and David Crussell (both Kawasaki) add further variety to the 250cc field.